A speech should reflect you and your specific communication style. Cookie cutter approaches to speech writing will only increase your anxiety, and bore people. If cookie cutter approaches worked, then anyone could give the same speech with equal effectiveness. Presentational Speaking is guided by one principle -- the text must reflect how you communicate. EXCESSIVE FORMALITY-- What works for publication may not be effective in a speech. In order to foster engagement, writing is key. INFORMATION DUMP-- Speeches are often written to deliver information. Like so much junk mail, facts and figures can drown out what is really important - - how it impacts people. Only when a speaker connects information to others does it have an emotional impact and affect decision making. We don't see your speech as our words. They must be yours. A formulaic approach to writing increases a speaker's anxiety and the likelihood of mistakes. Hesitations occur when the speaker is uncomfortable with a speech writer's wording. Our writing, based on researching your communication style, captures your voice. Presentational Speaking provides several writing services: we write speeches, review PowerPoint Presentations as arguments, and offer Writing Seminars to train others in this process. We have created many speeches for executives and world leaders. Our writing, based on researching your communication history, makes the most of your strengths. With the release of PowerPoint 2010, Microsoft ™ advised: “Present an idea, not just a slide.” This marketing slogan recognizes that most PowerPoint presentations are designed and used as large note cards. Presentational Speaking can review your slides and suggest changes that will make them more powerful. Our PowerPoint Workshops train participants to replace outdated information delivery approaches with more powerful action perspectives. 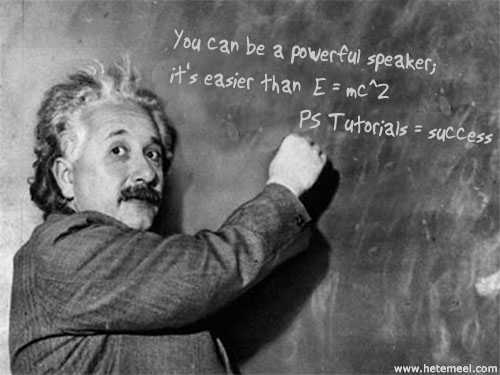 Our Writing Seminars train speakers and writers to become better speech writers. These coaching seminars provide you with an opportunity to learn how to extend your voice through written materials. Presentational Speaking's 10 Steps to A More Powerful Speech lists Creating Speech Writing Materials as Step 5, half-way through the process. After coaching thousands of speakers, we have discovered that most people mistakenly begin developing a speech by either writing or rearranging old PowerPoint slides. A powerful speech requires a strong foundation. Our half-day Writing Seminars concentrate on the first 5 steps of becoming a powerful speaker.